Amanda Day, Executive Director of Bike/Walk Central Florida, presented to the Seminole County board of commissioners to talk about metro Orlando’s problem – the one that has us consistently ranked as the most deadly place to walk in the country. The pedestrian safety initiative, Best Foot Forward (BFF), works to combat this issue through the Triple E approach – Education, Engineering and Enforcement. The Seminole County board of commissioners unanimously agreed to direct their county planners to meet with BFF to get more information about BFF expanding into Seminole County. MetroPlan Orlando backs this expansion, pledging $100,000 to expand the program into Seminole and Osceola counties. Check out coverage of the meeting from the Orlando Sentinel below. 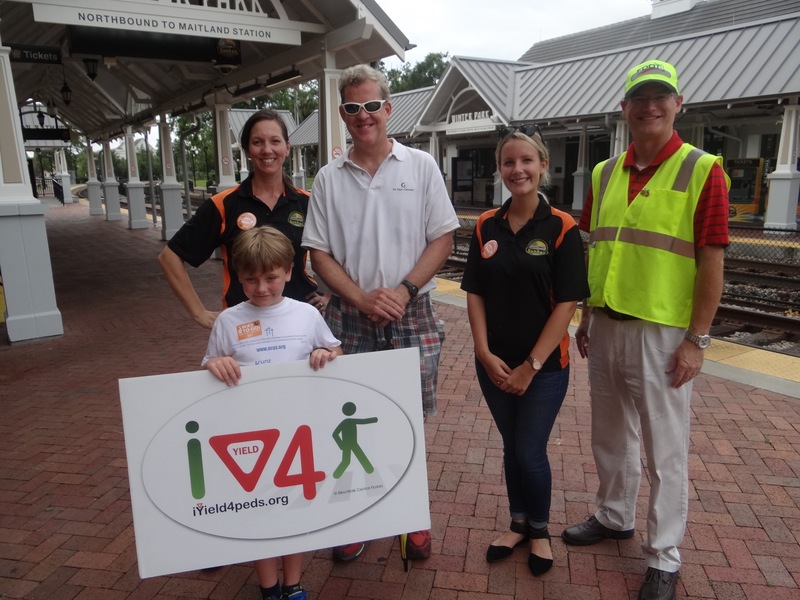 The four-year-old Best Foot Forward initiative to create safe pedestrian areas in Metro Orlando, which is the country’s most dangerous region for walkers and bikers, started to expand its footprint Tuesday into Seminole County. The Orlando region was ranked the most dangerous city for pedestrians by 2011 and 2014 reports that looked at more than 50 regions. 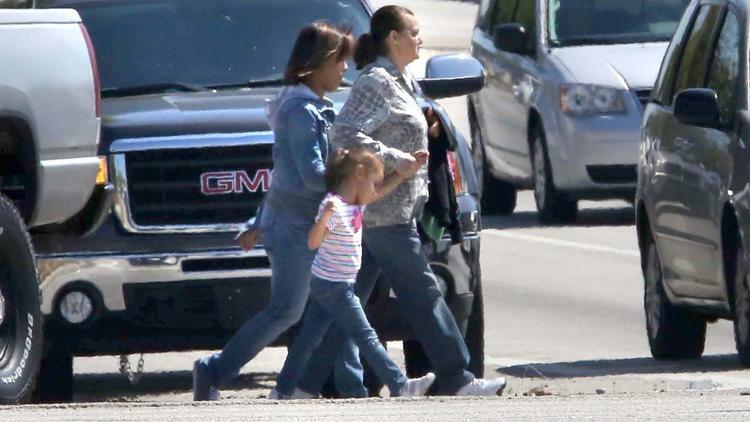 As students go back to class, Best Foot Forward, which focuses on crosswalks near schools, also looks to counter Florida’s standing as the second-most dangerous state for child pedestrians with 34 deaths in 2014. “We have a problem. I think everyone here knows,” said Amanda Day, executive director of Bike/Walk Central Florida, a nonprofit that runs the program. A video presented to the Seminole County board of commissioners Tuesday showed police dressed in civilian clothing crossing U.S. Highway 17-92. Drivers repeatedly ignored them, and whisked passed the officers within less than a foot at speeds of about 40 mph. In one hour, the officers filed 64 tickets. Day was speaking to the Seminole County’s board, who unanimously agreed to direct their county planners to meet with Best Foot Forward to see how the project would be implemented. The program was recently given another $100,000 by MetroPlan Orlando, the transportation-planning group for the region, to expand into Seminole and Osceola counties. In Orange County and Orlando, the program’s push for walkers’ safety began with targeting school and accident-prone crosswalks by using enforcement, engineering and education. Crosswalks addressed in the program have seen more drivers yield. One in Thornton Park saw its rate increase to nearly 60 percent from 15 percent one year after it implemented its changes.